Oceanfront! Beachfront! Riverfront! 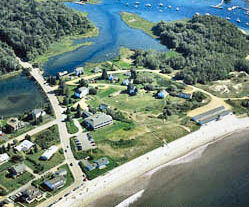 20-acre oceanfront resort directly on Kennebunk Beach. Owned and operated by the same family since 1667. The Seaside Inn includes breakfast in the 1850 Boathouse Room and is open year round. Seaside housekeeping cottages ranging from One to Four Bedrooms with ocean views, harbor views or both! Special Off-Season Packages. Discover a truly special location! 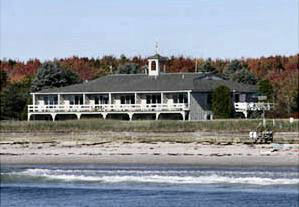 Kennebunkport’s premier beachfront address. This and other Kennebunkport Bed and Breakfast Inns can be found here online in The Register. A comfortable bed and a tasty breakfast can make for a great vacation or business travel day!